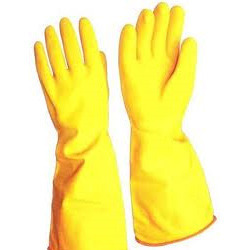 Hand Gloves are recommended to use while operating HT equipments particularly in Monsoon where moist atmosphere exists. 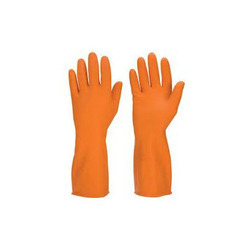 Being a well-renowned entity, we are engaged in providing a distinguished range of Safety Hand Gloves. We offer a good range of safety hand gloves as protective gloves, industrial work gloves, safety hand gloves that is massively used in diverse industries and sectors. These safety gloves, protective gloves are provided in various different materials and shapes as per the demand of our clients. We manufacture them by following industry standards and make world class assortments. GSM: 40 gms, 60 Gms, 70 Gms. Driven with perfection, we are affianced in catering to the variegated necessities of the patrons by bringing forth Safety Hand Gloves. Hand gloves, specially designed to meet the safety standards to help a person stay protected while dealing with hazardous chemicals, Metal scrap, Wiring work etc. Safety Gloves help resist, heat, chemicals, current, metal cuts and give a better grip at handling .